24H Laundry Room is a socially conscious business established with the aim of training, employing and empowering women to help them stay employed and relevant in the workforce, and a sense of security in making a living with their own talents and capabilities. Taken over in 2015, 24H Laundry Room serves to help our customers save time on laundry routines so that you can, in turn, spend your precious time with your family and on your hobbies. As professional laundry and dry cleaners, we wash, press and remove stains on your clothing and linen items. Garments include dress, shirts, pants, suits, jackets, coats and down feather winter wear. We also help customers with linens such as bedsheets, comforter, quilt, duvet, curtains, as well as ethnic costumes like Sari, Cheongsam, Wedding Gowns and Baju Kurong. We make your laundry services fast, easy and convenient for you. Hence, we introduced a 24-hour laundry drop off and pick-up kiosk so that you can leave your laundry to be done without having to schedule a specific time. 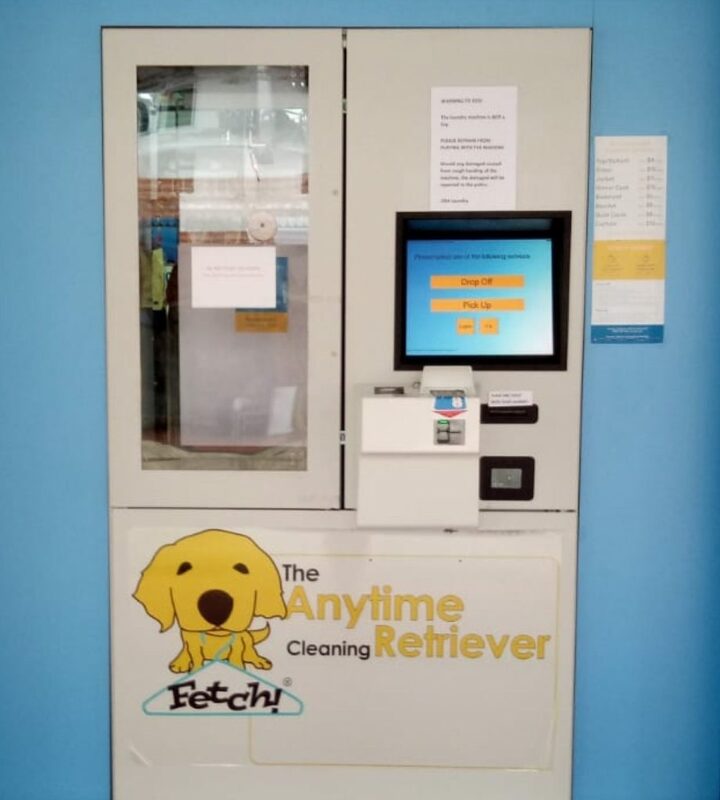 At 24H Laundry Room, we make use of technology for our kiosks like Fetch – The Anytime Cleaning Retriever to allow for more convenience to customers to drop off and pick up their laundry anytime without the need for manned staff. It is secure and hassle-free. As a small business, we strive to be socially responsible and want to create a sustainable business to improve lives with environmental and social wellbeing in mind. We do our part by offering eco-wash for laundry with harsh solvents. You can also do yours by recycling hangers at home or with us as well as reusing bags for your laundry.